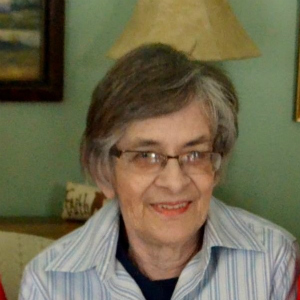 ELKHORN – Joanne Joyce Van Dyke, age 72, of Elkhorn passed away on Monday, January 5, 2015 at her home surrounded by her family. She was born in Elkhorn on February 19, 1942 to Francis and Theresa (Vander Veen) Los. Joanne married Alan Van Dyke on August 17, 1960. Through their 54 years of marriage, Joanne raised five children, and cared for 17 foster children. Her hobbies were spending time with family, traveling, reading, knitting, sewing and spoiling all 22 grandchildren and one great-granddaughter. Joanne is survived by her husband, Alan; five children, Susan (Curt) Knudtson, of Elkhorn, Mark (Lisa) Van Dyke, of Elkhorn, Laura (Gary) Humphrey, of Lake Geneva, Jennifer (Jeff), Cesarz, of Elkhorn, and Megan (Patrick) McCormick, of Elkhorn; 22 grandchildren, one great grandchild; and her mother, Theresa. Joanne is preceded in death by her father, Francis; and a sister, Elaine. Memorial Services will be held at 11:30 A.M. on Saturday, January 10, 2015 at Delavan Christian Reformed Church, 850 Oak Street with Rev. Dan Roeda officiating. Visitation will be held from 10:00 A.M. – 11:30 A.M. on Saturday at the church. Memorials can be directed to Delavan Christian School. The family wishes to thank Dr. Thies, Aurora Visiting Nurse Association Hospice Care, and especially Kelly, Jennifer, and Shelley for all the love, support, and care they provided for her.